Could this be a breakout song? This one got sent my way and I’m really glad it did. Jake Rose is a brand new artists for us here at Country Music Life. But it looks like he’s been out there working for a long time. Working on writing songs. Producing music. The whole deal. Probably playing shows and building his audience. He’s got a unique sound. It sounds like there are some influences from a few things in country music’s past. And probably a few influences from other genres. But I can’t really compare him entirely to other current artists and I think that’s a good thing. You know what this kind of reminds me of? The style of Steve Moakler. And I loved that album that Steve came out with about a year ago. 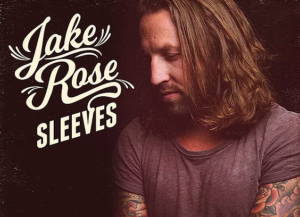 Anyway, the hook of this new one from Jake Rose is that the song is about his tattoos. We often pass judgment on those that have ink on their bodies. I know that I’m guilty of it. But Jake really does a good job on this song of communicating the reasons for his tattoos. They go well behind the skin. They often have to do with the people he cares most about. The things that have affected him the most. He wears his heart on his sleeves when he puts those tattoos there. That’s pretty neat and it’s all wrapped up in a really good melody. One that I’m liking more and more each time I listen. The first time I heard this song I was driving and crying. I have tattoos as reminders from the best and worst parts of my life, as does Jake. The song is not fiction- Jake really has the tattoos he sings about! Hopefully this song will let people know that tattoos usually mean something- mine are a roadmap of my life!